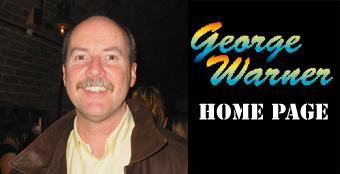 In about 30 seconds you will be redirected to the NEW George Warner Home Page. Taken in Trevorton, Pennsylvania. Butch fought the hill and the hill won. Scary nasty! 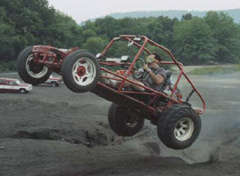 The coolest toys of all time came from the sixties. Check out my collection. Check out my deviated septum. made my page a high rated site by Google. You wouldn't believe all the email I get from it. For those of you considering the surgery, go for it! 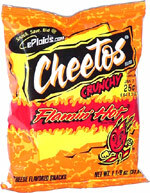 An awesome snack: Flamin' Hot Cheetos. If you're having trouble finding them, welcome to the club. I called Frito Lay. After an endless maze of telephones messages, it essentially says, "Ask your grocer." So I did. He looked at me like I had three heads.